I was in Petsmart shopping and was checking out some of the spring toys and discovered a cute toy! It was a marshmallow Bunny Peep plush toy. It looks just like the candy version! It is super cute and very soft. 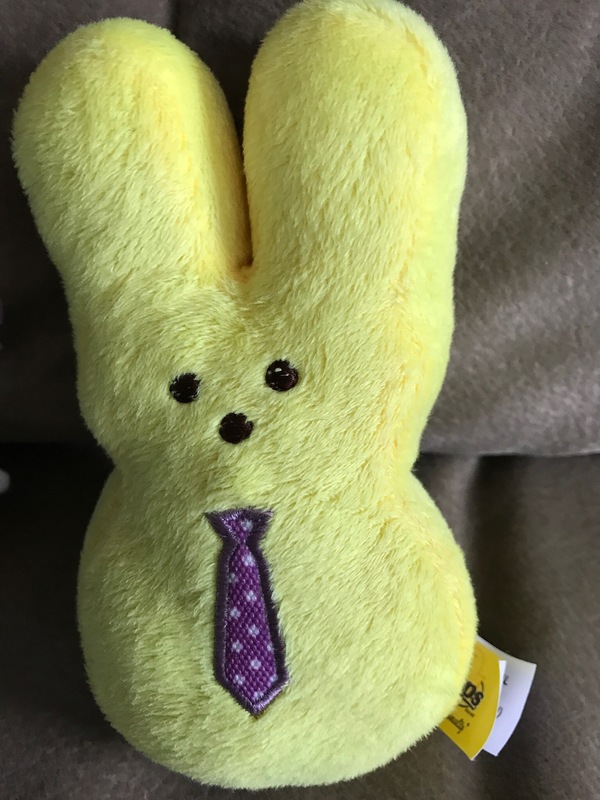 The peep is wearing a adorable stiched on purple tie. Inside there is a squeaky toy. 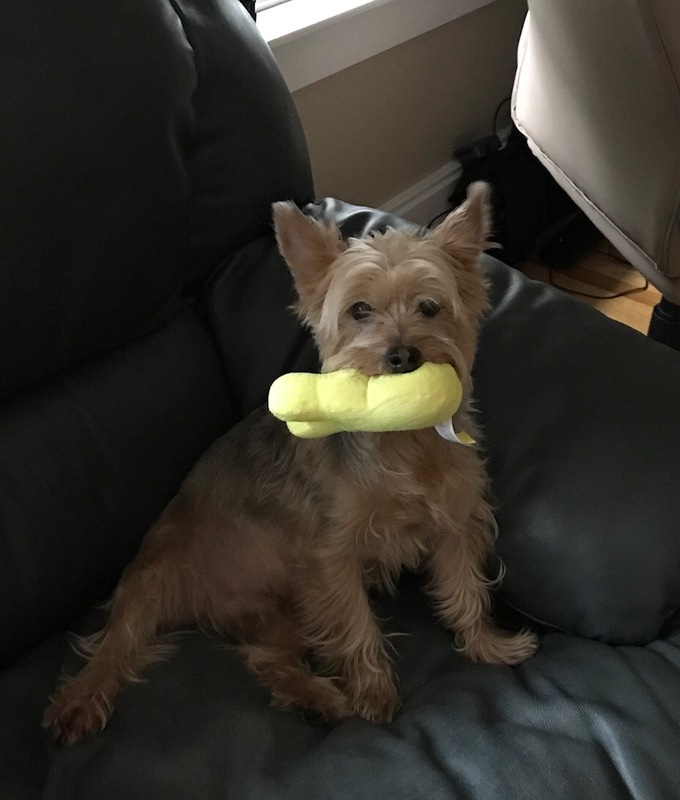 Harry loves the little peep and will carry it all around the house. If you are looking for a cool new toy for your pet, I would check this out.